Despite a pre-diabetes diagnosis in 2009 and spending over a decade in California, if you had suggested that I have salad for a meal even three years ago, I would have scoffed at you and probably ended our friendship. My problem with salad was that they usually weren’t very filling, not really flavorful but also expensive. And I wasn’t used to having cold lunches or dinners. What exactly am I getting out of flavorless, expensive, glorified lettuce? 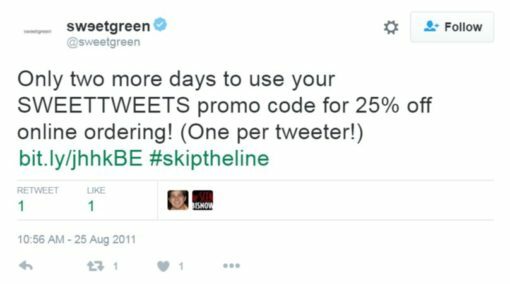 That was before I discovered sweetgreen, (and before that, Chop’t) a fast-casual, salad-focused franchise founded in 2007 originally from Washington D.C. area and now has storefronts located up and down Manhattan (and in Brooklyn). Sweetgreen’s salads aren’t just filling, tasty and relatively affordable (as far as New York City lunches go — more on that in the next paragraph), but the dressings were unique and the ingredients were fresh — and the workers friendly. 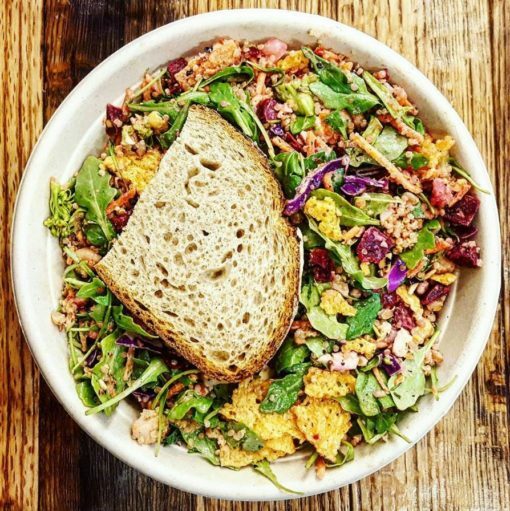 It may be a fast casual restaurant, but a salad at sweetgreen tastes more refined than Chop’t and Just Salad and of better quality than other, larger, more popular fast casual concepts Chipotle and Shake Shack. In an income-diverse city like New York, the idea of “reasonably-priced” depends on who you’re talking to. For me, I consider a meal to be “cheap” when it’s $5 or less. Sweetgreen’s salads, on the other hand, are around $10. More if you add avocado, Parmesan crisps, or chicken to it. So by definition, a $10 salad isn’t cheap in my book (and a lot of other New Yorkers’ book). Though I enjoy eating at sweetgreen, I don’t want to pay $10-12 routinely for lunch. Trying to balance my obsession with sweetgreen while paying as little as I could, I began looking at ways to customize my salad as cheaply (yet tasty) as possible. I also started looking for sweetgreen promo codes and discounts. Starting with a search on their official online accounts, no recent promo codes could be found on their website, Facebook or Twitter. I found a $5 off your first online order on Slickdeals, but that was from 2014. 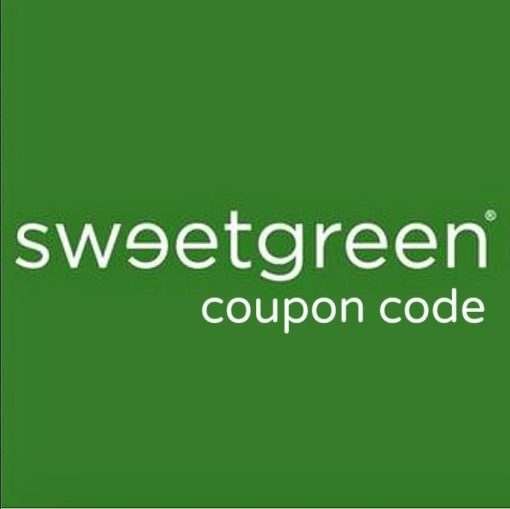 Get $5 off your first order of $10 or more at www.sweetgreen.com by entering code: 5OFF1DB at checkout. Offer expires 12/28/14. 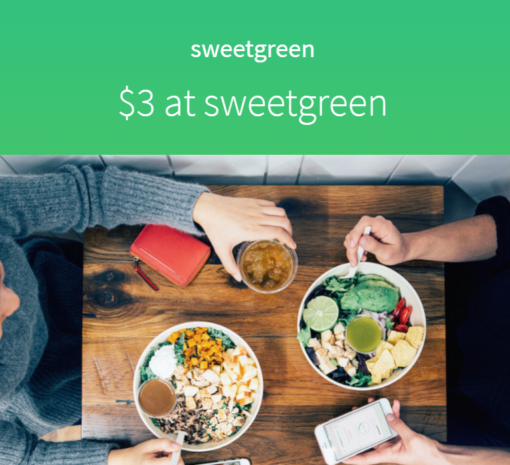 Unless you work at Sweetgreen, you’re not going to get any closer to a free salad than the following deal. After you download the sweetgreen app, that will serve as your loyalty card. For every $100 you spend, you’ll receive a $9 credit.